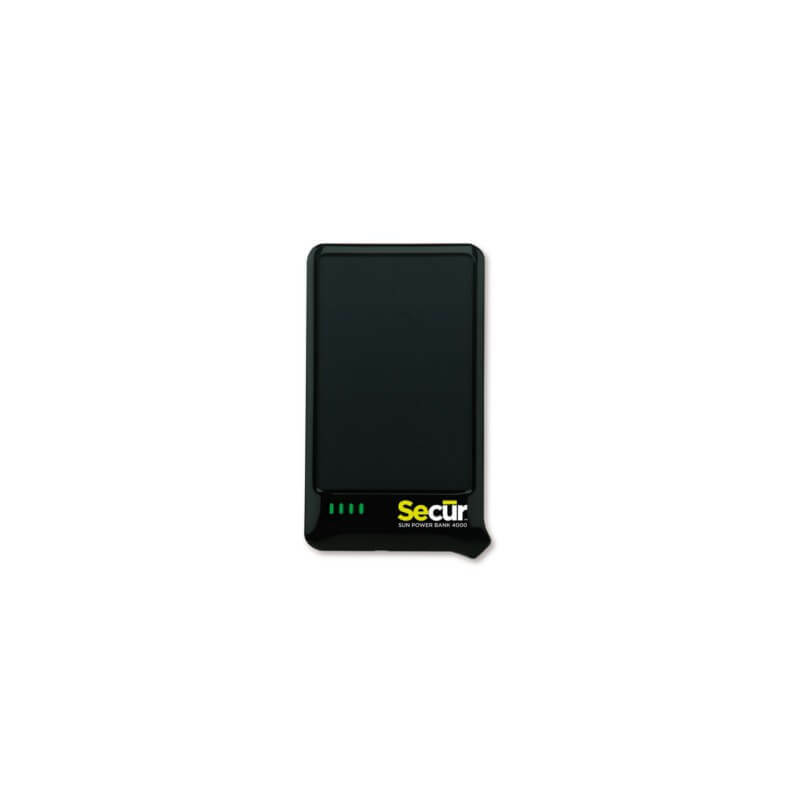 Secur Solar Power Bank 4000 is an ideal device to have with you always have to your smartphone, tablet, MP-3 player, Ipod, GPS, camera or other digital device on the go to be charged. The ultra high efficiency of the solar panel to 21.5% efficiency with broad light spectrum provides up to four times the charging rate of the traditional solar panels. The built-in USB cables for trouble free charging. 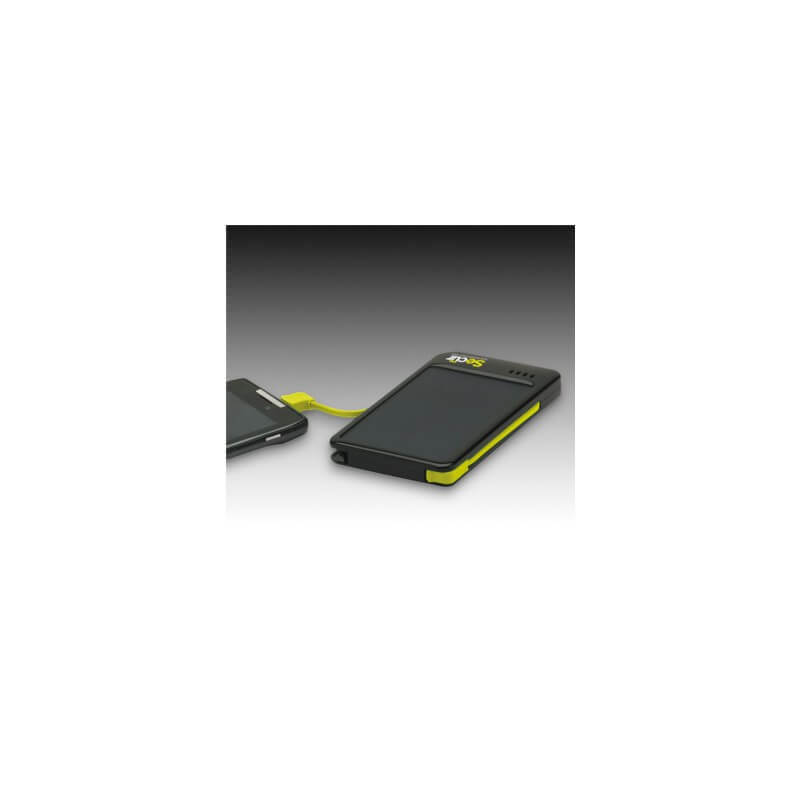 This powerbank can be a mobile phone up to four times the charge without re-charging. 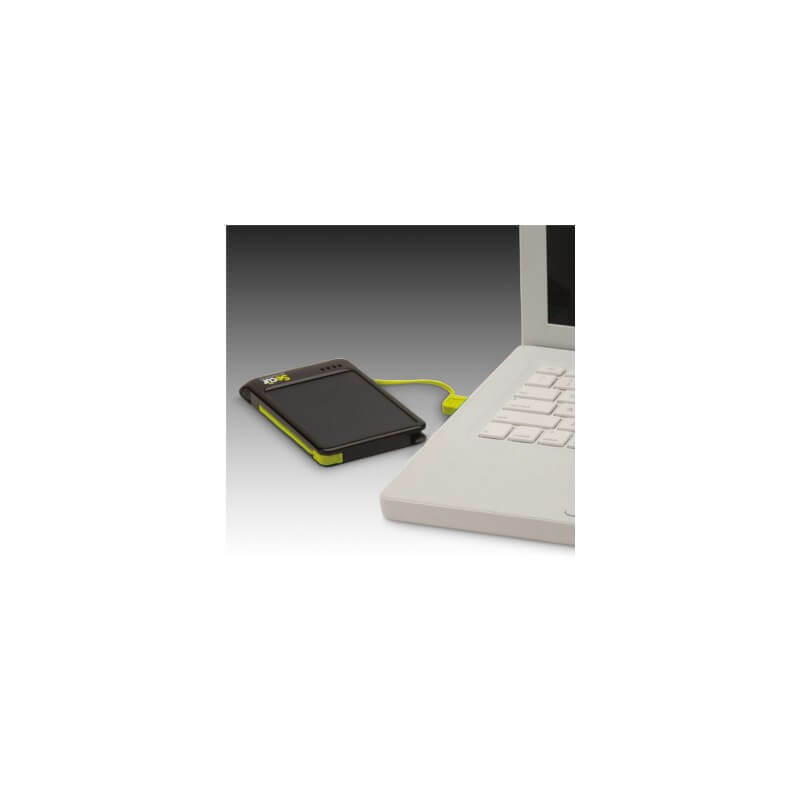 The powerbank is equipped with an indicator for charging, a female USB port for charging all digital devices, a built-in micro USB for charging via USB power sources, a high-capacity lithium-polymer battery of 3.7 V/4000 mAh High Efficiency Solar Panel – 5.5 V/280mA. 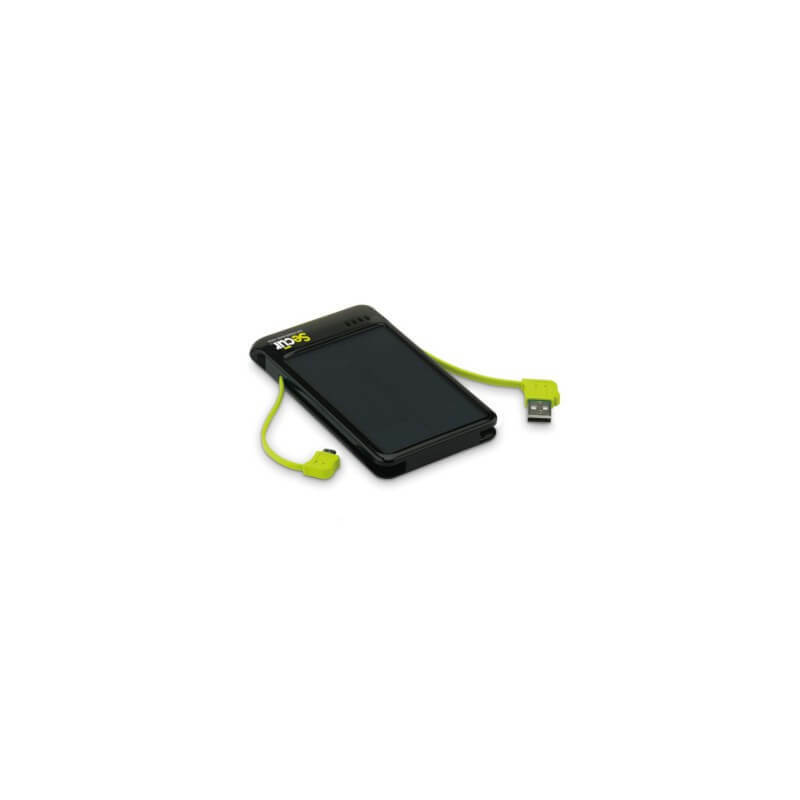 Within 4 hrs will the powerbank is full with USB charging, the solar panel will this 14-18 hours in the full sun.